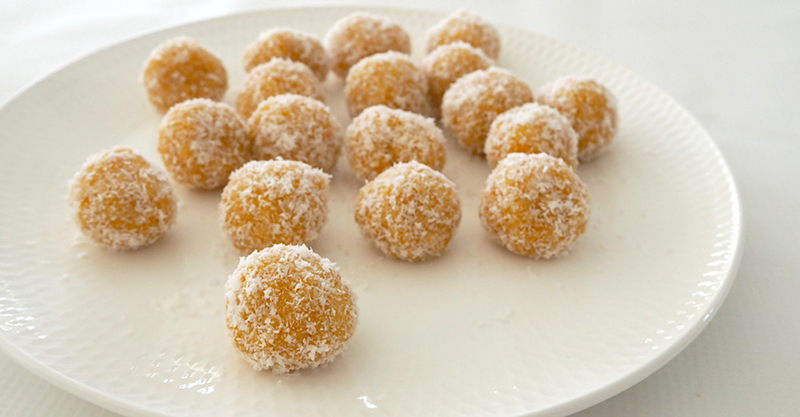 These no bake apricot bliss balls couldn’t be easier to make – or eat! They make a great afternoon snack for the entire family and you can also make them in advance and then pop into the freezer for an easy snack. 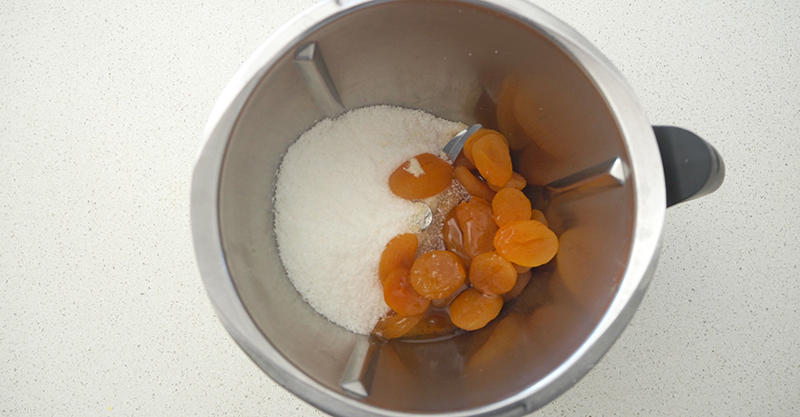 The kids will also enjoy getting their hands messy by helping you to roll these apricot bliss balls, just make sure they don’t eat all of the mixture first! Place the extra coconut into a bowl and set aside until needed. 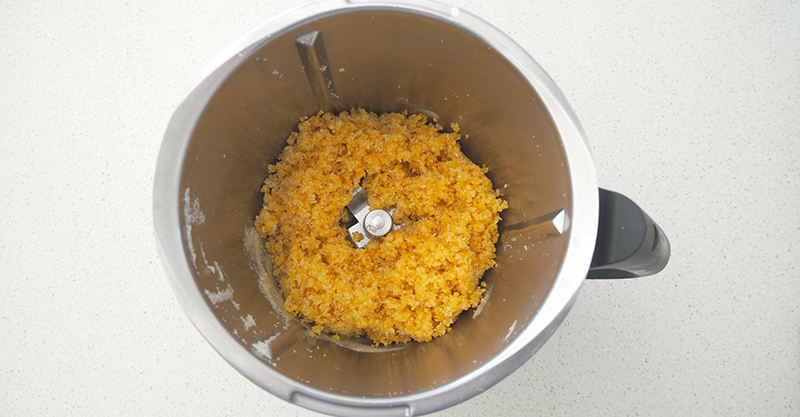 Use the pulse function to blitz the ingredients together until the mixture begins to clump together. 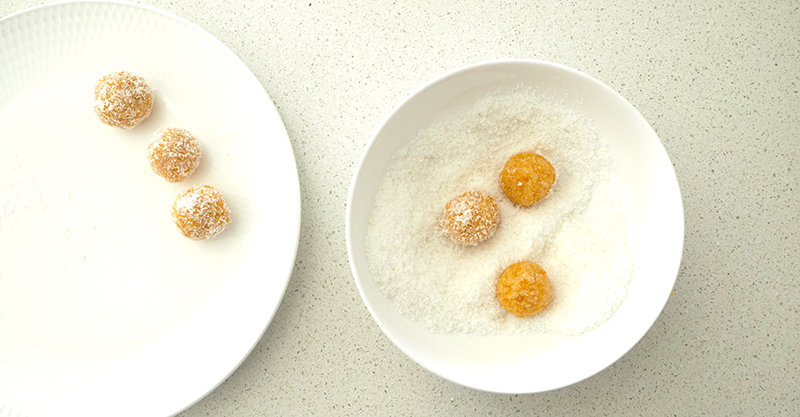 Use a spoon to scoop up the mixture and roll into balls before placing the bliss balls into the bowl with the extra coconut to coat. Place the coated bliss balls into an airtight container and place into the fridge to chill for one hour. You can then store them in the fridge for up to one week.